How many sales did my ads generate? Whatever your KPIs may be, you have to be able to accurately measure them to gauge success and optimize your ads. You can run into trouble if your conversion tracking isn’t setup correctly or–more commonly–you’re misinterpreting the results. Facebook’s ad product is world-class, but their conversion attribution is about as clear as a pint of Guinness. I’ve used conversion reports in dozens of products and none of them work quite like Facebook’s. 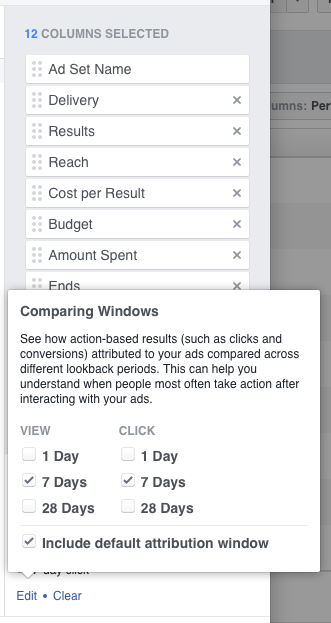 If you use common sense to interpret your Facebook ad performance reports, you’ll be wrong. But if I look at my actual sales history in Stripe, I didn’t sell 129 units in total on June 5th, let alone via Facebook. I only sold 50 units that day. If you intuitively understand that a Facebook performance report for June 5th isn’t designed to show you conversions that happened on June 5th, and you know exactly which transactions it is reporting, congrats! You probably don’t need this article. If, on the other hand, you’re as confused as I was, please read on. Let’s start at the very beginning (🎶 a very good place to start 🎶). Now you just have one thing: The Facebook Pixel. You can copy/paste it into the header of your site or deploy it via Segment or Google Tag Manager. These events are called “Pixel Fires” (my new indie rock band name! 🔥). The standard “PageView” event will fire by default whenever a page loads. In order to fire other events, you have to add custom code to tell Facebook that the event happened. 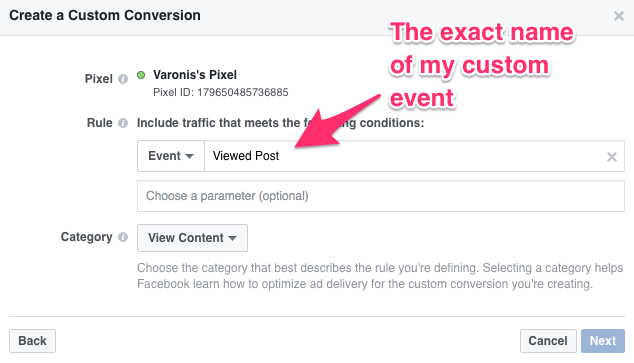 Note: Instead of writing Facebook-specific event tracking code, I’d highly recommend using something like Segment so that you can write vendor-agnostic tracking code once and have it sent to any tool in your marketing stack (I go into great detail on how to do that in my $9 Marketing Stack article). Building audiences has the added benefit of being able to use trackCustom in order to build more specific audiences that are not covered by 1 of the 9 standard events. You can continue to pass customData into these events for more granular audience building. However, you can not track or optimize for conversions based on custom events at the current time. Once you do that, it’ll work just like the standard events: you can report on ad performance and optimize ads based on it. Custom Conversions are pretty awesome because you can fire them based on URL patterns. This eliminates the need to manually add custom fbq tracking code to specific pages. Anything event that is trackable based on URL alone can be done via Custom Conversions. More on setting up your conversion tracking here. Note: If you’re an e-commerce business and you run on Shopify they do all the heavy-lifting for you. You basically give them your pixel ID and they take care of firing all the right events at the right times (AddToCart, Purchase, ViewContent). Because Shopify orchestrates the whole shopping and checkout process for you, they can automatically insert the events and properties Facebook needs. Beautiful! 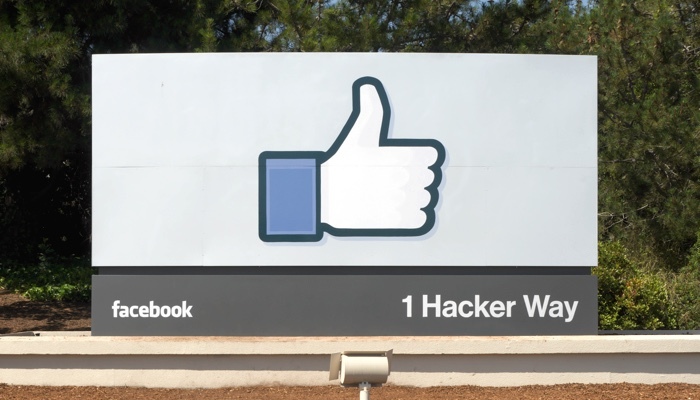 Once you’ve got your conversion tracking instrumented, it’s a good idea to validate that the data you see in your “source of truth” matches the data that Facebook is getting from its pixel. 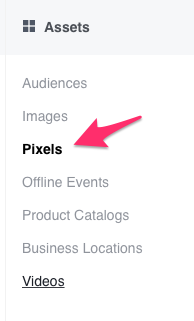 To see the number of pixel fires for a given day, click on the main menu and go to Assets –> Pixels. This number should match your source of truth based on the day the action occurred. We aren’t doing any attribution yet. 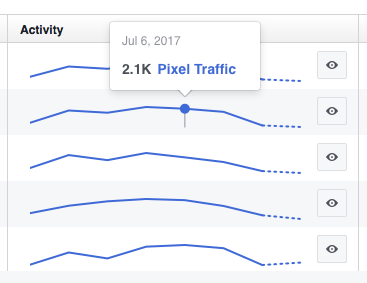 Pixel fires happen every time an event happens whether it was influenced by Facebook or not. If this raw data doesn’t match then your attribution reports will always be wrong. I also highly recommend installing the Pixel Helper tool and running through the key actions on your site to see if there are any gnarly issues like loading multiple pixels or tracking an invalid event. OK, now that you have all the conversion data cleanly flowing from your website to Facebook, it’s time to figure out how many of those conversions Facebook should get credit for. That’s what attribution’s all about. Remember our June 5th mystery? Only 50 total sales yet Facebook takes credit for 129. Of the people who last viewed or clicked an ad on June 5th, 129 of them purchased since. So, if I’d run the June 5th report on June 7th, just two days later, that number would very likely have been well below 50. But now, over a month later, all of those June 5th ad viewers and clickers have had a long time to convert. Heck, they may have even been influenced by non-Facebook marketing efforts. Some may have purchased on June 6th, some on June 26th. They all get attributed back to June 5th’s ads because that’s the last time they were exposed to them. Conversions are counted on the day the ad click/view happened NOT the day the conversion happened. 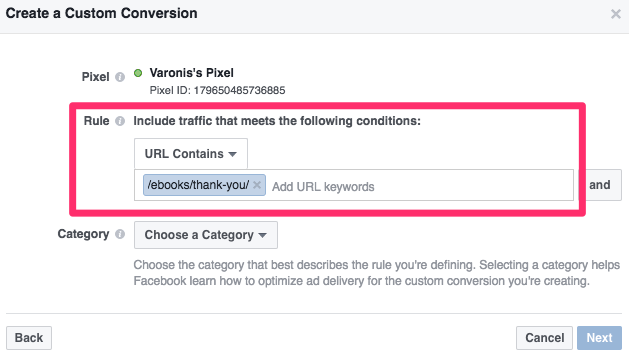 Facebook doesn’t take credit for conversions due to ad clicks/views in perpetuity. The conversion has to occur within your (adjustable) attribution window (more on this in a sec). This means that if I view an today, I have one day to convert for that ad to get credit. If I click an ad today, I have 28 days to convert for that ad to get credit. If I convert outside these windows, Facebook will not take credit. You can also change your default windows in Ad Account Settings –> Attribution. In general, the wider you make your window, the more credit your Facebook ads are likely to get. But this depends on your business model, audience, and the type of ad you’re running. I find that conversions on ebook download ads are almost exactly that same whether I use 1-day or 28-day click attribution windows because people usually act right away, if at all, on an ebook. For e-commerce, I find that purchase conversions change drastically when I adjust the window. It’s common to view/click an ad, shop around, create a cart, and then checkout at a later date (maybe after getting an abandoned cart email). You have to play around and see what works for you. Facebook is one of the few ad platforms that can measure when someone views an ad on their iPhone and later converts on their laptop. If you login to Facebook (or Instagram or Messenger or WhatsApp) on both devices, Facebook can rely on identity and device data instead of simply relying on browser cookies. It’s creepy, but also illuminates user behavior. You can run cross-device reports to see if people are viewing/clicking ads on mobile and then hopping over to desktop to convert. Or not. Perhaps the most important takeaway from this Goliath of an article is that before you attempt to do any sort of ROI analysis, take the time to research and study how your tool’s attribution works, lest be led astray. Also, unless you market exclusively on Facebook, it’s important to realize that other channels could be influencing conversions that Facebook is taking credit for. That’s why I like using the very tight 1-day default window for view attribution. We passively scroll through so many ads in our Facebook feeds. It’s hard to justify giving credit to a Facebook ad that someone viewed, but didn’t click, for a purchase occurring two weeks later. By definition, a view attribution only happens in the absence of a click, so perhaps that ad view meant nothing. Multi-channel and multi-touch attribution is probably the single most challenging topic in marketing. Many products purport to do this automatically and perfectly, but I will tell you quite confidently they can’t. For many reasons. A white whale, I tell you! More on this another time.